This school year has gone by so quickly that I can’t believe it’s coming to an end. It would truly be impossible to mention all of the wonderful programs and events that took place this year, but I would like to review some of the highlights as we look back on the 2017-2018 academic year. In Early Childhood, Mrs. Raquel Sultan and her staff continued to focus on the use of technology in the ECE classrooms and introduced visual thinking strategies and thinking maps. They also enriched the children’s learning experiences with exciting specialties in kidokinetics, dance, Spanish, music, and STEAM projects. In Elementary School, Mrs. Debbie Hamburg and the teachers introduced a wide range of new programs: Spanish in Kindergarten, Tal Am in First Grade, Movement and leveled instruction in Hebrew language in Grades 3-5, an innovative Mishna curriculum in Fifth Grade, Robotics, Math Olympiad, and several new Blended Learning platforms, such as RAZKids, ExtraMath, and News-o-Matic. Mrs. Andrea Lucero led her dynamic Middle School team in a significant expansion of Project Based Learning and the Blended Learning approach by initiating or enhancing programs such as BlendSpace, Google Classroom, iReady Reading and Diagnostics, Wordly Wise, Torah Live, and Gemara Berura. With the guidance of Dr. Susan London, they also continued the SELF (Social, Emotional Learning Foundations) program that focuses on self-image, building friendships, Chesed (kindness), bullying-prevention, and issues relating to online presence. A highlight was sending two students to represent Hebrew Academy at the CADENA competition in Mexico City. Mrs. Rachel Leubitz and the AEP teachers expanded their support and enrichment programs in the areas of General Studies, Judaic Studies, Hebrew language, Mechina (Judaic preparatory), and ESOL (English as a Second Language). New Language Arts enrichment options were introduced in Fourth and Fifth grades, and the Zaniac program was expanded with the addition of computer programming and an enhanced Math curriculum. Mrs. Leubitz and her team continue to strive to identify the best ways to provide each child with the assistance to meet his or her individual needs. In the High School, Rabbi Aharon Assaraf and Dr. Dara Lieber continued the division’s impressive track record of growth with new course offerings, exciting special programs, and a wide variety of engaging guest speakers. The girls Talmud program has expanded to include all grade levels, and an Innovation Club was created that sent a large contingent of students to the cutting edge Fast Company Conference in New York City. In the Middle School and High School, Mrs. Meirav Kravetz and her Ivrit teachers worked diligently to expand their students’ Hebrew language knowledge and skills, and offered courses on all levels from beginners to fluent. Special emphasis was placed on Israel education and the students especially enjoyed the Meh Chadash Hachodesh and Cafe Ivrit monthly events. 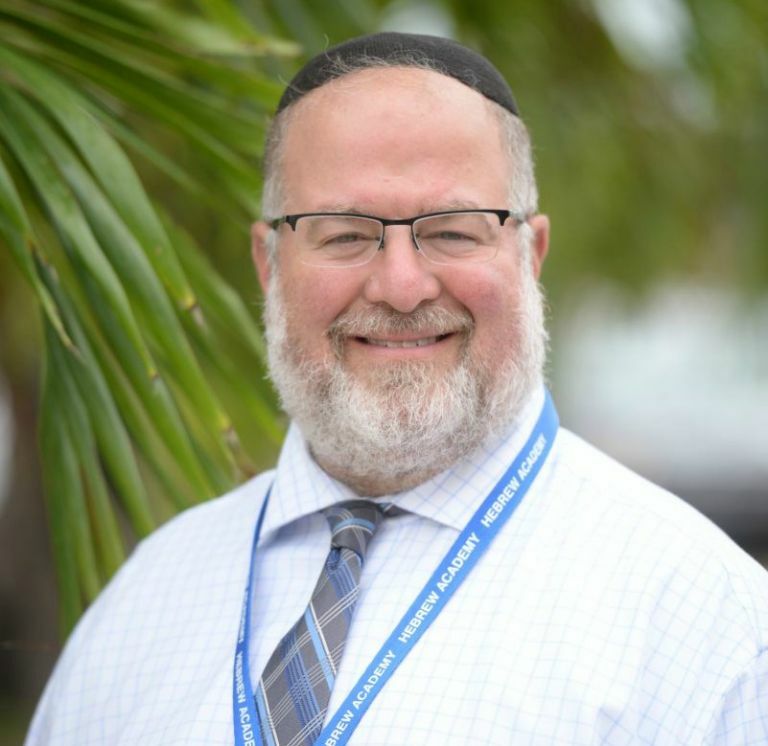 Special thanks are due to Rabbi Avi Bossewitch, Dean of Academics and Innovation, for spearheading many of the new initiatives and supporting the Administrators with their implementation. As you can see, it’s been a busy, exciting year full of learning and growth. I can’t wait until next year!